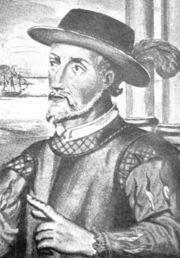 Juan Ponce de León is said to have arrived in Florida at the shores of the future county in 1513. "Mosquito County" was formed while the state was still a territory, and on some maps is absorbed into an unofficial "Leigh Read" county between 1839 and 1845. "Saint Lucia County" was created in 1844: it was renamed Brevard County in 1855 after George Washington Brevard: who served as Florida State Controller from 1854 to 1860. Between 1907 & 1910, St. Lucie County was created from the southern third of the county. There was a drive in the mid-1990s of creating a county out of the northern-third of the current borders, but it did not pass. In the 1800s the Hernandez-Capron Trail passed through the county. Starting in the early 1990s, there was discussion in the county, especially in the southern and central part of the county, to officially move the county seat from Titusville to what was at that time uninhabited cow pasture land, now called Viera. This move was surrounded by some controversy. While Viera provides a location for administration of the county nearer to the county's major population center (Melbourne and Palm Bay, the two largest cities in Brevard County are 50 miles from Titusville), some suspected that the center of government was moved to enrich the owners of the once-valueless land. An amendment was put onto the ballot to default on the bonds which the county had issued to pay for the massive building project, but it failed. 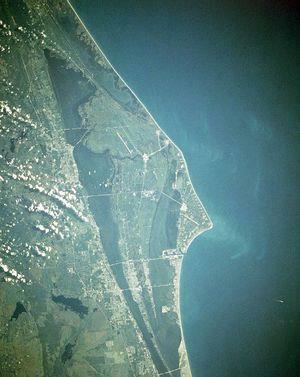 The Space Coast, as Brevard County is known, is the home of the Kennedy Space Center, as well as the Merritt Island National Wildlife Refuge, the Canaveral National Seashore, the St. John's National Wildlife Refuge, and the Archie Carr National Wildlife Refuge. The area code for the entire county was made "321" in 1999: as in the "3...2...1... Lift Off!" countdown sequence. It is possible to observe a Cape Canaveral rocket launch or NASA Space Shuttle launch, from anywhere in the county, as well as experience related structural shuddering throughout most of the county. In 1989, county administration was moved to a government complex at Viera, as part of a mid-county development project that included a Baseball Spring Training complex at Space Coast Stadium, and a master-planned community, known as Viera. In the early 1900's the Union Cypress Railroad was built from present day Lipscomb Rd and University Blvd west to Deer Park, FL. According to the U.S. Census Bureau, the county has a total area of 4,032 km² (1,557 mi²). 2,637 km² (1,018 mi²) of it is land and 1,395 km² (539 mi²) of it (34.60%) is water, primarily the Atlantic Ocean, the St. Johns River and the Indian River Lagoon. 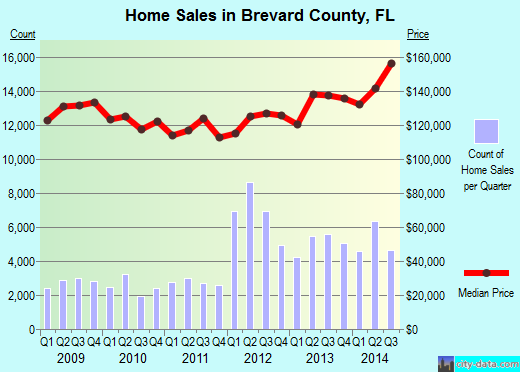 Brevard County is the sole county in the Palm Bay-Melbourne-Titusville Metropolitan Statistical Area. 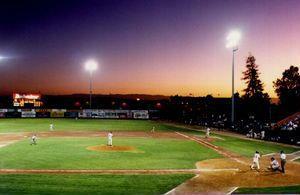 Brevard County is the home of the Brevard County Manatees. The Washington Nationals hold their spring training at Space Coast Stadium in Viera. Professional, scientific, management, administrative, and waste management services (32.4%), Arts, entertainment, recreation, accommodation and food services (13.1%), Finance, insurance, real estate, and rental and leasing (12.3%). * Information and photos provided by the US Census Bureau, Wikipedia, and citydata.com.